It's a special movie. Been on my top 100 list since I saw it almost a decade ago. Glad you checked it out! 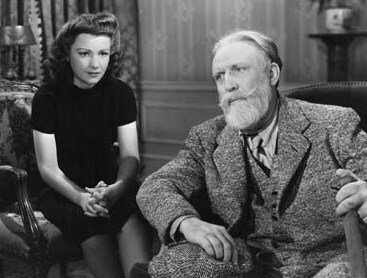 If you've seen The Man Who Came to Dinner (1942) you know about Monty Woolley, who seemed born to lead that film but too limited to make a career playing anything but an arrogant, selfish, cranky jerk. Released the same year, this character is the same, but the context is very different. Here, he's trying to flee France as Germany invades, cutting short his fishing trip. On the difficult road back to England, he must face the inconvenience of war and help some stray children along the way. It oddly manages to stay just to the gentle side to where you can call it a heartwarming family film despite the evil that nazis do. 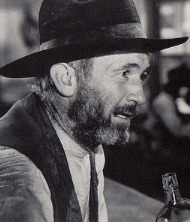 Woolley was nominated for an Oscar (and the film for Best Picture), and it left me wondering how many other ways he could apply this character. Also starring Otto Preminger and Anne Baxter, who's come up a lot on my TV lately. A feast of movie stars - Tyrone Power, Gene Tierney, John Payne and Anne Baxter - in this long, but absorbing romance. There are some dry scenes of soul searching, but the epic scope allows for characters to make big dramatic turns as the story plays out. Tierney gets to play her Scarlett O'Hara, but with a darker 'Leave Her to Heaven' tone, but the big moments belong to Baxter (who won an Oscar). She's almost overpowering, right on the edge of camp. Her best moment is actually when the camera finds her again after a major event and she looks like a different person. I like Robert Montgomery a lot, but he's poorly cast as a Chicago gangster who discovers he's inherited a title and a great deal of land in England. I see the potential, but the script never decides how to let events play out, bringing in new twists that have little to do with this premise. Edward Arnold is the saving grace as an ex-con lawyer now under Montgomery's care. There is a certain shock in Ramin Bahrani directing a dystopic sci-fi. Here is arguably the foremost voice in American modern neorealism making a film that is as far from realism as possible. It isn't even a film that brings Bahrani's style to bear on this polar genre to provide something of interest. Instead it feels in many ways incredibly generic. But after watching this and then reading the Wikipedia of the original novel (it having been a very long time since I read and liked it), I'm wondering if one problem is it is actually a bad story. Like, I think this telling does it no favors, but looking back the story is less about fascist control of information and more about decrying new arts like TV and cinema as vapid and enfeebling. Bradbury, of all people, was playing the Luddite in writing it. The irony that his story is the one that seems shallow among the cannon of cinema and the golden age of television is not lost on me. That second point is really good, and though I'm unsure if I ever read the novel, I think I agree that the story itself just isn't all that great. In the same way, I've become more disenchanted with 1984, though that happened for me a while back when I really looked at it alongside Brave New World. Though I think the ultimate concluding point of Orwell does hit, more than what I saw in this film. In terms of Bahrani, he definitely was the voice for neo-neo-realism, but I think he has mostly lost that since Goodbye, Solo. Perhaps it's a byproduct of not using non-professionals, but for me he has had mixed results since that time, and doesn't seem as concerned with the same aesthetics or ideas he prodded at in his early work. I liked the first half a lot more than the last half. There's both too little and too much of the mythology. Really loved the cast, but there were some weak scenes, even from Lupita, who's otherwise fantastic. There's all these Joker movies coming out when clearly Elisabeth Moss would be the best Joker imaginable. The trailer might be the horror movie of the year. This was okay. Not sure why I skipped this in theaters, especially knowing that #BurtonIsBackBaby and this is right in line with that, in some ways perhaps more than his other recent work. In terms of him executing on his visual style, it might be his strongest in a long time. Agree with most of what you say. Maybe it's because I read the Moss/Joker hot take the day I watched the film, but her Joker scene was Jared Leto without the animal growls. I think an honest stab at The Joker by her would be better than that, but I still wouldn't cast her. Where did you think Lupita was weak? I would think she has a strong shot at Awards consideration if not for Toni Collette getting ignored last year. I really enjoyed Miss P's. Not so far as to say that Burton is back, but he remembered how to entertain us for a moment. A fever dream of persecution, oppression, torture and ever-so-repressed sexuality throughout history. A thoroughly hallucinatory experience that wants its audience to actively experience the hysteria it talks about. That sensation of a desire so strong and powerful yet one that will allow men to destroy should you ever act on it. It is constrained by the conceit of an academic lecture when at its heart it wants to be the devil waggling its tongue at you. Astonishing use of powerful and potent imagery. This film has been witch-crafted rather than directed. I saw it last year and, although I wasn't as enthused by it as you, I agree that it is a solid film full of great visuals. Found this to be more interesting than it was entertaining. Director and writer Benjamin Christensen takes a quasi-documentary approach to look at the story behind medieval witch-hunts as well as other spiritual superstitions. The film is divided in multiple segments, each of which focuses on a particular part of its narrative; from a visual illustration of common beliefs of space and religion in medieval times, to the story of a woman accused of being a witch. The narrative is loosely told and frequently interrupted by the more scholarly moments of the film, which tends to break the momentum, but it's still intriguing. The real strength lies on Christensen's visuals and production values which are haunting, eerie, and damn good.